In an ever-changing world of skincare advancements related to preventing and reversing the appearance of lines, wrinkles, indented acne scars, large pores, and brown spots, TWO things have remained constant for the past 30+ years. FACT #1: Certain types of vitamin A, the magic ingredient behind retinol and tretinoin (prescription retinoids), will absolutely, positively reverse visible signs of aging. Using a topical product containing these ingredients can increase cell thickness, affect gene expression, thin the stratum corneum, and increase the production of collagen from within. With continued use, vitamin A slowly improves the skin’s appearance (NCBI Study). It smoothes the skin’s texture by lessening visible wrinkles, lines, acne scar indents, large pores, scarring and brown spots. Simply put, this magic ingredient can deliver incredible smoothing and resurfacing results. Thus, it helps the skin mature in a more desirable way. FACT #2: Particularly if you’re using a prescription formula, you must take special care of your skin to manage potential side effects of dryness and irritation. In the early 90’s when tretinoin first became FDA-approved for treating sun damage, not much was known about controlling its side effects. With misuse, the results were often intolerable. I once had a new client who was improperly using prescription Retin-A. In front of my very eyes, she smiled and areas of her face cracked and started bleeding. I couldn’t believe what I was seeing! I can assure you, though, those days are long gone. Today, the side effects of retinol and retinoids are completely manageable (Detailed NCBI Study). Take special care of your skin by following my expert tips. Here’s how to get maximum benefits from a topical vitamin A product, whether it’s in a prescription form (retinoid) or in an over the counter version (retinol). What are the most common types of vitamin A ingredients? Retinoid (also known as Tretinoin). An ingredient derived from vitamin A and available only in prescription formulas. When applied to the skin, it converts directly into retinoic acid. It then binds to the receptors and activates the cell maturation process in the skin. Brand names include Retin A, Retin-A Micro, and Renova. 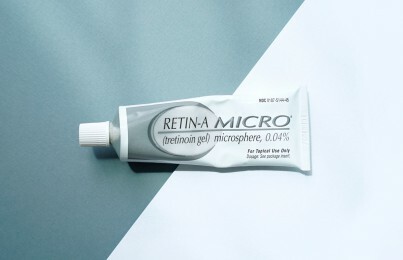 Other common synthetic retinoids include Tazarotene (brand name Tazorac) and Adapalene (brand name Differin, now sold without a prescription). Retinol. A cosmetic ingredient sold in non-prescription formulas. When applied (assuming it’s an encapsulated, stable, well-formulated product), it converts slowly within the skin to retinoic acid. Retinol is considered to be 20 times less potent than a prescription tretinoin since it’s time-released. This means it’s delivered into the skin slowly, over a period of hours, instead of all at once upon application (as retinoids are). 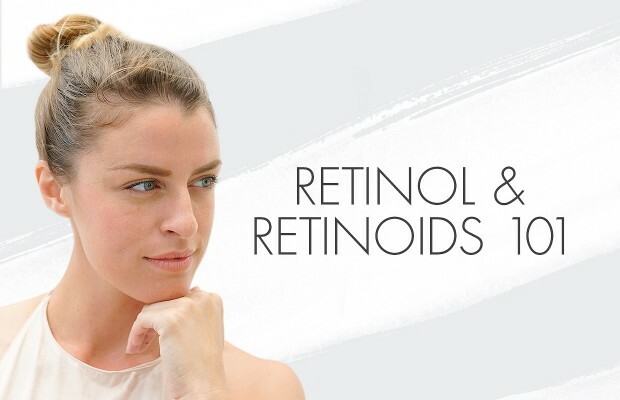 This is why retinol users often experience less irritation. Therefore, retinol is ideal for sensitive, reactive skin types and those with less sun damage. Make no mistake, despite being gentler, retinol is still extremely effective and can deliver the same results as a prescription with long-term use. Note: Biochemically, retinoids and retinol perform the same function. You’ll get results regardless of which one you choose to use. Results may just take a little longer to achieve with retinol-based products, but that’s exactly what is needed for vitamin A newbies and sensitive skin types. Retinyl Palmitate. A storage form of vitamin A (a blend of pure retinol and palmitic acid) and much weaker than retinol. The process of retinyl palmitate converting to retinoic acid is considerably more complex. The amount that ends up reaching the cellular receptor is very small. It simply cannot compare to the efficacy of pure retinol. When combined in a formula, this ingredient can improve the chemical stability of retinol, act as an emollient and antioxidant, but typically you shouldn’t count on it to deliver any smoothing or brightening results that retinol offers. Retinyl Acetate, Retinyl Linoleate, and Retinyl Propionate are also in this same category. Retinaldehyde. A stable precursor to retinoic acid. Like retinol, when it’s stable and encapsulated, it can convert slowly within the skin to retinoic acid. Which non-prescription vitamin A is best to use? First, it’s important to know that just because a product includes one of the vitamin A ingredients listed above does NOT mean it will necessarily deliver results. With any non-prescription vitamin A-type product, the most important factors are: how the formula is made, the percentage used, how it’s delivered into the skin, and how stable it is. You’ll usually have to do a bit of research to find these. However, if a brand is not readily sharing this information, I consider that to be a red flag. That could be representative of the product’s lack of true effectiveness. Any good formulator knows this is very important information to share with their customers; they should show their product stats proudly. Read four things to look for when choosing a retinol or vitamin A formula. How do I decide if I should use a non-prescription retinol or get a prescription for a retinoid from my doctor? I always start all of my clients on retinol, regardless of how much sun damage their skin has. Here are some guidelines for making this decision yourself. NOT sensitive at all. If you ARE sensitive, no need to read this section, as a prescription is not best for you. Most people have a certain degree of skin sensitivity, which is why I suggest using a non-prescription retinol first. If you have the following conditions, though, you can eventually transition to using a prescription. Over age 35 with a long history of sun damage (hello lifeguards!). 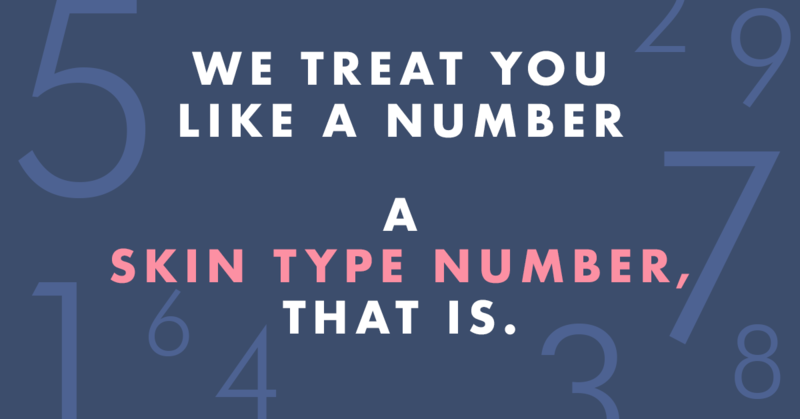 You may feel like your skin shows more visible signs of aging than other people your age. Someone who, regardless of age, has pitted, indented facial scarring from acne in your younger years. If you simply have post-breakout dark marks from blemishes that you’ve had in the past month or so, use this product instead. Someone who, regardless of age, has melasma (dark brown spots or patches) from the sun, heat, pregnancy or hormones. You’ll benefit from something stronger to work deeper and faster. Again though, if you have sensitive skin, it’s not best to start with a prescription. 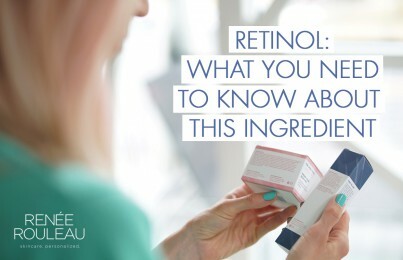 Skip a prescription and use retinol if you’re…. Someone who, regardless of age, has thin, dry, and/or sensitive skin. This includes rosacea, a history of eczema, or simply easily irritated skin types. These skin types may never adjust to a prescription due to the skin’s delicate protective barrier that’s easily compromised. Someone under age 35 with no major acne issues who is already using vitamin A for preventing wrinkles, lightening discoloration, reducing pore size, and smoothing. Sticking with retinol and occasional peels is perfect because you’re already getting ahead of the aging process. There’s not as much repair and reversing work to do in those younger than 35. At what age should someone start using retinol to prevent the appearance of lines and wrinkles? Many people younger than 26 are still dealing with breakouts. Despite what you may have heard, retinol or retinoids do not help cystic or pustular acne. However, prescription retinoids CAN be effective for managing bumps known as closed comedones. I discuss this more in detail below. Vitamin A is meant to speed up the skin’s metabolism, which begins to slow in your early 30s. When you’re younger, your skin is already very metabolically active. Using retinol or retinoids too early might backfire and stir up breakouts, rashes and more. It could disrupt the skin’s natural balance. What should I know before using retinol or a prescription retinoid? Avoid using retinol or prescription retinoids while pregnant. Of course, you’ll want to consult with your doctor. In my experience, though, most advise waiting to use vitamin A until after giving birth due to potential risks. 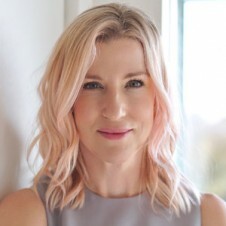 With topical retinol or retinoids, I have not personally come across any reported evidence of either causing any harm, but doctors are extra cautious with expecting mothers. Understandably so. As long as you’re serious about protecting your skin from the sun to avoid a tan or sunburn, retinol CAN be used during the summer months. Retinol and retinoid products deliver the best results when used 2-5 nights a week—year round. Using it on and off can slow progress. So it’s important to commit to using it consistently, even during the summer months. As long as you’re someone who is very, very conscientious about not getting a sunburn or suntan and practices sun safety, then you should be just fine. I use it year round, and I spend a lot of time outdoors. Read my sweat-proof sunscreen tricks that won’t clog your pores. However, if you are someone who enjoys getting an actual tan on your face in the summer or someone who hasn’t yet mastered the art of sunburn prevention, I would suggest discontinuing your retinol or retinoid 7 days before more intense outdoor sun exposure. (Read my tips on how to prevent a sunburn.) Then, start using it again a week after you’ve been in the sun—assuming you don’t have a sunburn. While this will slow results, it’s important not to inflame or irritate the skin. You’ll get better and faster results if you use exfoliating acids in your routine, too. When dry, dead cells are regularly removed from the skin’s surface, vitamin A is more easily absorbed. You’ll definitely want to start using an exfoliating acid serum. More on that later. Retinol (or retinoids) do not deliver visible results quickly, so you MUST be patient and not give up. Unlike an exfoliating acid peel that delivers immediate results, vitamin A works incredibly slowly to create change in the skin. I generally tell my clients that they won’t start seeing improved textural changes until 2-4 months of use. With continued use, you’ll see more and more positive changes. Do not give up. Stick with it! As for prescription retinoids, the type of acne that they work best for is “comedonal acne.” This is the type that appears as whiteheads, blackheads, closed comedones, and clogged non-inflamed bumps. Retinoids restore the organization of cells through cellular turnover. This, in turn, prevents cells from getting trapped and blocked in the pore lining which is what leads to those little non-infected bumps. On the other hand, retinoids do NOT work as well for sore, inflamed pustular acne or cysts. In fact, when someone has infected, pustular and cystic acne, retinoids may actually make them worse. Acne is an inflammatory disease of the skin. Therefore, it’s not a good idea to stimulate this type of acne with retinoid activity. It’s far better to use products that have more proven acne-improving benefits like salicylic acid, tea tree, beta glucan, niacinamide, manuka, sulfur, lactic acid, and benzoyl peroxide. (For cystic blemishes, use Anti Cyst Treatment.) Note: Beware of skincare salespeople or brands that claim treating acne AND wrinkles with their retinol product is a one-stop shop. This is false and anyone sharing this is simply not informed of how retinol works. Trust me on this! As for retinol and acne, since retinol contains a lesser dose of vitamin A, it does not work as hard as retinoids to clear clogged bumps. If breakouts are your main concern, I usually advise my younger, acne-prone clients to focus on clearing blemishes first. Once the skin is clear, they can start using a retinol product to prevent the visible signs of aging. However, there is now a 1% Differin (adapalene) gel retinoid formula available without a prescription for acne. It’s worth adding into your routine to see if it alleviates breakouts. Finally, use an exfoliating acid serum with salicylic on nights you’re not using the retinol to increase the vitamin A’s effectiveness. I’ll discuss this more at length in a bit. BHA Clarifying Serum is the acid serum I suggest to all of my clients to help clear blemishes. And this Zit Care Kit is a MUST for making all types of blemishes disappear quickly with minimal scarring. It’s best to avoid oil-based retinol formulas if you’re prone to clogged pores and blemishes. Some non-prescription retinol formulas are kept stable in a blend of pure oils. This gives them an emollient, somewhat greasy feel on the skin. While dry skins can always benefit from oil saturation, oily and breakout-prone skin types should avoid these types of formulas. (The underlying cause of acne is oil since oil breeds bacteria and bacteria lead to blemishes.) If you still get clogged pores and breakouts, choose your formulas wisely! If you have a history of eczema, you’ll definitely want to use retinol and not a retinoid. Vitamin A is very active and breaks down the skin’s protective moisture barrier through its aggressive cell turnover process (basically, it causes dryness). Thus, many eczema-prone skin types find that retinoids cause flare-ups. It’s best to only use retinol. Even if you’re only applying a prescription retinoid to a specific area of the face, it can treat the face entirely. For example, some people use it just around their eyes. They think this will help eye-area wrinkles while sparing the rest of their face from dryness. In reality, the ingredient actually travels underneath the skin. Simply put, even if you apply a retinoid to part of your face, it will work everywhere. Subsequently, you can experience dryness everywhere. Okay, so let’s get on to how to use it! Here’s my step by step guide to using retinol for serious results with little to no drying side effects. If you’re new to using vitamin A, I suggest starting with a non-prescription version such as retinol. I touched on this above but the reason is that you want to introduce vitamin A to your skin slowly. Most people who start with a prescription (without proper usage instruction) eventually give up because their skin becomes too dry and irritated. It’s easy to lose patience when something that’s supposed to make your skin look amazing initially makes it look worse. If you have a prescription and haven’t been able to use it successfully, consider putting that on hold for now. Start with a non-prescription retinol first and introduce your skin to it gradually. Advanced Resurfacing Serum is the retinol product that I personally use and recommend to my clients. This formula is so effective because it combines stable retinol AND skin-firming peptides that help prevent loss of tone. Start by using your retinol product two nights on, one night off. Repeat throughout the week. For best results, you must use retinol consistently (and often!). Your skin has other needs, though, so you don’t want to use it every single night. Plus, anything more could be too much for your skin since it’s such a biologically active ingredient. Note: I mention to use retinol two nights on, one night off which will result in four nights a week. If you are over 40 with a history of sun damage and your skin isn’t overly sensitive, you can use it 4-5 nights a week. No skin type should use it more than five nights a week. This can eventually result in increased sensitivity and the skin looking waxy and unnatural. On the other hand, if you’re under 40 and your skin is fairly sensitive, you might start by using it only twice a week. Then after two months, you can work up to using it three nights a week. Eventually, work up to four nights a week. When in doubt, start slow and increase as you go along. The rule is, if you’re experiencing any dryness or irritation, you’re either using too much or using it too often. This is a sure sign that you should cut back. Using retinol or retinoids successfully is a marathon, not a sprint. Avoid applying moisturizer immediately after application of retinol. Using a cream or lotion right after applying retinol may dilute it slightly. It’s best to first let it absorb for 20 minutes. Or, you can use a retinol serum that has a lotion-like texture. This can offer hydrating and protective benefits, thus skipping the need for moisturizer altogether. To maximize results and minimize potential side effects (a win-win), use an exfoliating acid serum on opposite nights. This is really important. Retinol works to encourage dull, sun-damaged skin cells to rise to the surface for easy removal. Using a gentle, alcohol-free exfoliating acid serum once or twice a week (such as one with glycolic, lactic, salicylic or mandelic acids) will accelerate these cells’ removal. The vitamin A can then absorb deeper into the skin to perform its best. Using both in your routine will reveal a smoother, more even-toned texture. Check out this collection of exfoliants. Note: A lot of people use exfoliating toners that contain acids. They often ask me where they should plug that into a retinol or retinoid routine. I never suggest that my clients exfoliate every day, so I also wouldn’t recommend using an acid-based toner every morning and night. This is regardless of whether or not you’re using any vitamin A products. If you want to use an exfoliating toner, I would suggest using it on the nights that you use the retinol or retinoid. It can act as a pre-treatment/primer to allow the vitamin A ingredient to absorb deeper into the skin. Did you know that acids actually help correct dryness? When people experience surface dryness (due to age, drying products, airplane travel, etc), their first instinct is to apply a skin oil or heavier moisturizer. This is helpful for pushing moisture into the top layers of the skin, but the dry, expired, dead cells want to (and desperately need to) come off. Over-moisturizing may interfere with and slow down cell turnover. Using exfoliating acids regularly is like saying “out with the old and in with the new” to your skin. This is why top dermatologists and skincare professionals recommend acids so widely. Once a week, skip the exfoliating acid or retinol and use a hydrating serum containing antioxidants, epidermal growth factors, or peptides. Your skin requires a variety of ingredients to age healthily. Therefore, you don’t want to constantly stay in exfoliation/cell turnover mode by only using acids and retinol. When working out, it’s best to alternate between various types of exercise so you’re getting a little bit of everything. Your skin appreciates the same variety. Firm + Repair Overnight Serum is the one I suggest to a lot of my clients. To give your skin a boost of results, get a professional chemical peel or give yourself one at home. Once you’ve been on your new retinol routine for two months, it’s good to kick it up a notch. Try introducing your skin to a chemical peel—especially if you’re someone who has large pores, wrinkles, and discoloration from sun damage. A peel is essentially a stronger version of retinol. It’s intensifying your skin’s collagen-boosting activity to encourage faster visible smoothing results. On the flip side, using retinol is technically like getting little micro chemical peels throughout the week without the after effects of dryness or peeling. Synergistically, they both support one another in the quest for smoother, smaller-pore and more-even toned skin. There are many types of peels but you’ll want to consult with a trusted skincare professional to find out which type and what frequency is best for your skin. I generally recommend that clients get light to medium chemical peels (ones that make your skin shed for a few days after) 6-8 times a year. You can get lighter peels every other month. If you happen to have a tube of a prescription retinoid lying around that you aren’t using, you can give yourself a DIY chemical peel at home. Lastly, an exfoliating acid peel that’s safe for home use like Triple Berry Smoothing Peel is great to use 3-4 times a month. There are no harsh side effects—only beautiful results to increase the skin-smoothing benefits of retinol. After six months, if think you want to start using a prescription to increase your results, slowly introduce it into your routine. Of course, you’ll have to see a doctor to get this. There are so many different kinds now, but she will suggest what’s best for your skin goals. You should get the lowest strength to start. Weeks 1-4, substitute your retinol serum with a prescription retinoid ONE night a week. After cleansing, immediately apply an alcohol-free toner. Leave it damp, then apply a thin layer of a lightweight moisturizer to the skin before applying your retinoid. The moisturizer cannot be heavy or greasy at all. Wait for five minutes and apply a pea-sized amount of the prescription to entire face. (I recommend treating the neck and chest with retinoids, too. Use a pea-sized amount for this area as well.) Let dry for 20 minutes and follow again with an application of a moisturizer. This time, you can use whatever your normal moisturizer is. Ideally, use one that keeps the skin’s moisture barrier intact and sensitivity to a minimum. Phytolipid Comfort Creme is a great moisturizer for new retinoid users. *There has been much discussion in years past about whether or not using a moisturizer underneath vitamin A affects its performance. Most now believe that it does not interfere with penetration. Instead, the right moisturizer can keep the moisture barrier beautifully intact to prevent dryness. This is truly the secret to making a prescription tolerable. I always recommend Sheer Moisture Lotion to my clients due to its light texture and stable antioxidants. Retinoids can cause “micro wounding,” and antioxidants greatly help to stop the resulting anti-inflammatory responses. This makes Sheer Moisture a perfect companion to prescription formulas. Weeks 4-10, repeat the above process but instead substitute your retinol serum with a prescription TWO nights a week. Just like working out, you don’t want to lift the heaviest weights possible on day one. You want to take it slow and gradually build over time. Weeks 10 and beyond, repeat the process but now substitute your retinol serum with a prescription THREE nights a week. For most people, I suggest sticking with this routine. You’ll alternate nights between your original retinol serum (eventually you can drop this), a retinoid, an exfoliating acid serum, and a hydrating serum. You’ll use your prescription three nights a week while giving your skin an amazing variety of other active ingredients. They’ll all work synergistically to greatly improve the look of your brown spots, wrinkles and large pores. If you have very sun or acne-damaged skin, you may want to increase the prescription to four nights a week after six months. Also, consider upgrading to a new one with a stronger percentage. I do, however, discourage people from getting too excited and using it too frequently. Over time, this can cause the skin to appear tight, shiny and waxy, almost like a plastic Barbie doll. I can spot someone a mile away who is overusing prescription retinoids, and it’s not a great look. It just doesn’t look natural. So there you have it. I’ve covered most everything that’s important about what I believe is the closest thing we have to a topical fountain of youth—retinol and retinoids (tretinoin). Aside from sunscreen, it’s truly a miracle in a bottle. I’ve seen the magic it can work with my own eyes on so many clients’ faces in the past 30 years of working hands-on as an esthetician. Of course, I am super proud of the retinol formula that I have created, but there are other great ones out there. You just have to do your due diligence since it’s a tricky ingredient with which to work, and not all formulators know how to make the best products. Speaking of formulations, I’m headed back to UCLA in a few weeks to take another cosmetic chemistry course. I’m excited to learn from some of the best in the business. One last thought. As mentioned previously (but important to mention again), using a retinoid or retinol is a marathon, not a sprint. It can take a while to see results, and you won’t get immediate gratification. To truly reap its benefits, deliver a slow drip of it to the skin while keeping irritation to a minimum. I recommend using it regularly for the rest of your life… or until another miracle product takes its place! And if that’s the case, I’ll be sure to let you know. For now, head on down Retinol Road. Your skin’s appearance will improve greatly, and your skin will age in the healthiest way possible. 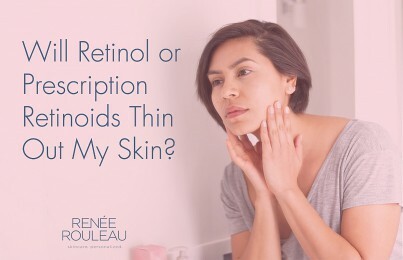 Retinol or Prescription Retinoids: Do They Make the Skin Thinner?